The desire to ensure the high quality of scientific literature determines the formation and cultivation of the values of publication ethics in the modern academic community. Back in 1997, the International Committee of Publication Ethics (COPE) was established, which has been advising editors and publishers of scientific literature on issues of publication ethics. In March 2015, the Association of Scientific Editors and Publishers (ANRI) was organized in Russia and in 2016 at the general meeting of the ANRI the Declaration “Ethical Principles of Scientific Publications” was adopted. The Declaration is a set of ethical principles governing the conduct of editors, editors, reviewers, publishers and authors in the field of scientific publications. The emergence of institutions such as COPE and ANRI convinces that the streamlining and codification of ideas about the ethics of scientific publications, the desire to achieve high ethical standards in this field of activity is an undoubted trend in the development of the modern academic community. However, the analysis of the practice of the publication activity of modern Russian universities reveals a number of tendencies, which in essence are contrary to the principles and objectives of the ethics of scientific publications. The main conflict is connected with disagreements in understanding the meaning and goals of the publication activity of representatives of authoritative scientific journals and publishers, on the one hand, and a large number of university faculty on the other. There is a difference in values, in other words, the value conflict. The publication activity of the university faculty is at the present stage of the development of higher education a criterion for assessing their professional activity. Today, this is one of the key quantitative parameters for assessing the achievements of both the individual scientist and the institution as a whole. In the management of the scientific activity of a particular institution, the stimulation of publication activity is naturally a priority objective and, accordingly, the number of publications is the planned indicator of the work of the faculty, department, and teacher. At the organizational and managerial level, the goal of the publication activity of a university teacher is formally determined by the task assigned to him to publish a given number of scientific papers for a specified period. This leads to the fact that the behavior of many teachers is determined by the understanding of professional success as achieving high quantitative indicators. The modern Russian university actively generates models of behavior of the authors of scientific literature, which contradict the ethical principles governing the behavior of editors and publishers in the field of scientific publications. On the sites of a number of domestic scientific journals in recent years, sections on publishing ethics have appeared. They, in particular, describe inadmissible cases of violations by authors of the ethical principles of publications. The spread of “dishonest practices” clearly demonstrates the desire of authors at any cost to increase their indicators of publication activity. 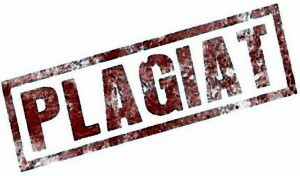 The analysis of sections on publishing ethics on the websites of a number of scientific journals allows us to identify the most common models of unethical behavior of authors, such as plagiarism, submission of one manuscript simultaneously to several journals, inclusion in the list of authors of persons who have not made a significant contribution to the work, exclusion from the list of authors of persons deserving authorship, falsified references to sources, selfplagiarism, fabrication and manipulation of data, manipulation with quoting. A fairly detailed list of violations of the norms of publication ethics attests to the seriousness and depth of the value conflict between the community of authoritative scientific journals and a significant part of the university community.